When you have a project in mind that requires tile, you want the best you can get. 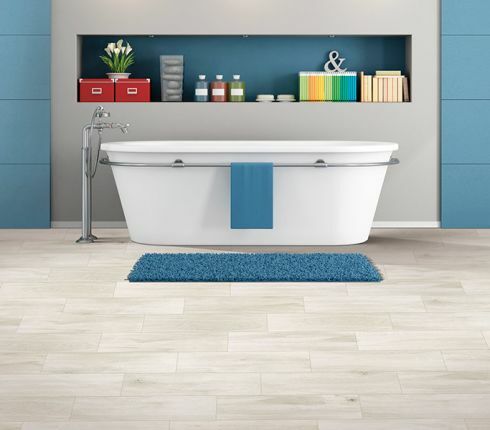 At Covering Broadway, we carry some of the finest ceramic tile and porcelain tile that you can find in Red Lodge, MT. If you have any type of project in mind, we invite you to visit our showroom before you buy elsewhere. We are confident that you will be impressed with what we have available for you. As you know, tile quality varies from company to company. The best way to ensure that you are getting the best quality, is to buy from companies that have stellar reputations and long histories of providing outstanding products. When you shop with us for your ceramic or porcelain tile, you know you are getting the best, because we only carry the best. What this means is you never take a chance when you shop with us. We have tile for all types of projects. Are you thinking of adding a new backsplash? How about a tile wall with accent pieces? New flooring? We can provide you with the perfect tile for any project that you may have in mind. When you visit our showroom, you will discover that we have a huge array of colors, sizes, patterns, and accent pieces for you to choose from. Our selection of tile is second to none in Red Lodge, and we are always happy to help you make the best decision when it comes to your project and the best type of tile to use for that project. We serve a large area that includes: Red Lodge, Belfry, Roberts, Bridger, Roscoe-Luther, Billings, Absarokee, and Columbus. If you are considering a tile project, we encourage you to visit with us first. We have the right tile for your plans, and we have it for less, too.